China will improve its long-term regulatory mechanism for vaccines and implement the toughest possible oversight on related products, Jiao Hong, head of the National Medical Products Administration, said on Monday. 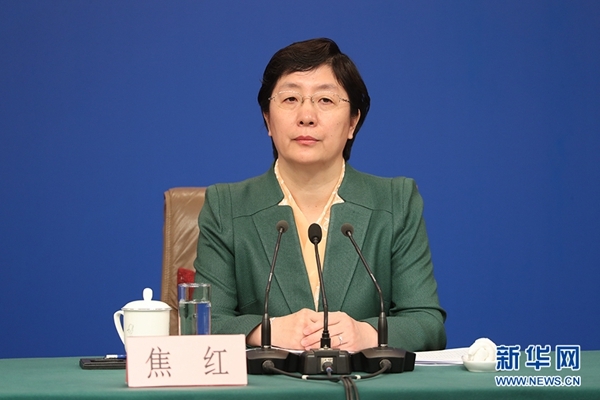 She said domestically made vaccines were safe overall, affirming comments made by the head of China's Center for Disease Control and Prevention on March 4, who urged the public not to lose trust in the country's vaccine sector. Jiao said a new draft law on vaccine management, to tighten the supervision and management of production, research, and distribution of these products, had been reviewed by the Standing Committee of the National People's Congress, and released to solicit public opinion.